Vinnie Paul – Damageplan’s 2nd Album Will Be Released..
Vinnie Paul says he will eventually release music that was planned for Damageplan‘s second album. 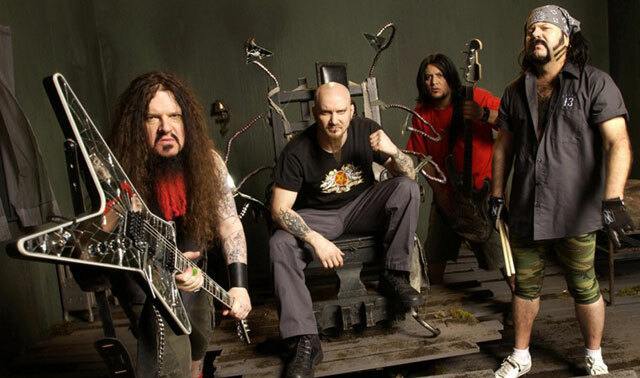 Paul formed Damageplan with his brother Dimebag Darrell after Pantera‘s split in 2003 and released their debut album New Found Power a year later. 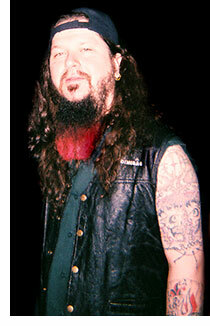 Dimebag was shot dead onstage at a Damageplan gig in Ohio in December 2004. The first record was pretty diverse. We wanted to do something that didn’t sound exactly like Pantera, and with the second record, it was really focused. I’ve got the demos and some day they’ll come out. It’s sad to say, but you just get larger than life when you’re gone. It’s just really weird. I really appreciate it. The fans have kept his legacy and everything he’s done intact and alive, and it’s just constantly growing. His legend’s huge. I haven’t had a drink since February – I’m not missing that much. No Serious Metal Drummer Could Ever Forseen Or Forgotten Vinnie Paul! I mean His PRECISE, HAMMERING Drumming Style. Vinnie‘s One Of Few Drummers That You Could Have Put In A Box (Perhaps Alongside Tommy Lee) And Used Instead Of a Metronome While Practicing… It’s that Destinctive! After burying his brother Darrel (R.I.P. ), Paul formed Big Vin Records in February 2006 and released Rebel Meets Rebel and a DVD, Dimevision Volume 1. Paul (along with Cristina Scabbia, co-lead vocalist of Lacuna Coil) writes a monthly question-and-answer column in Revolver. Vinnie Paul maintains endorsement deals with ddrum, Sabian cymbals, and Vic Firth drumsticks. He previously endorsed Tama, Pearl drums, and Remo drumheads and hardware. Paul also played drums for Dethklok at a show in Philadelphia with Metalocalypse creator Brendon Small. Around this time in his career, he was a one time spokesperson for Arby’s fast food restaurant. In June 2006, after the death of his brother and an 18-month hiatus, Paul was not sure if he would return to music, but eventually joined in with the heavy metal supergroup Hellyeah, which also features vocalist Chad Gray and guitarist Greg Tribbett from Mudvayne, guitarist Tom Maxwell from Nothingface, and bassist Bob Zilla from Damageplan, who was called on to replace original bassist Jerry Montano. As of 2016, the group has released 5 albums, latest being Unden!able, released in June 2016.